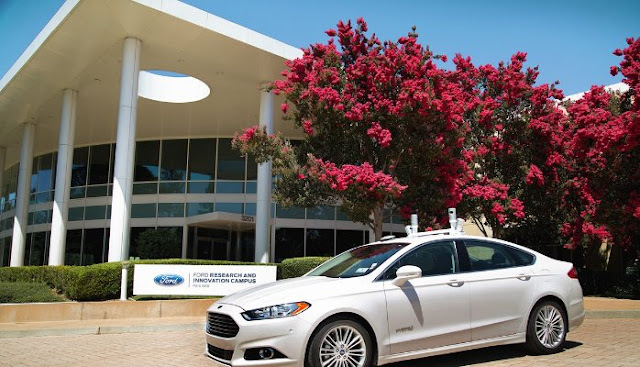 The Ford Motor Company has announced that they are looking to begin mass producing fully autonomous cars for fleet hire services by early 2021. On August 16, 2016, Mark Fields, CEO of the Ford Motor Company announced that Ford intends to be mass producing fully autonomous vehicles by early 2021. Over recent years there has been much excitement at the idea of fully autonomous vehicles, sometimes called "Google cars" because of the innovations created by the Technology giant, Google. Mark Fields said in his announcement that Ford has been a leader in innovation in the motor industry since the early twentieth century and has decided that now is the time to see fully autonomous vehicles as a real prospect. Previously, Ford had looked at moving forward with small steps where vehicles remained under the full control of a human driver who would be assisted by computers and other computer management systems. This will possibly continue, because there is and still will be a huge market for car drivers who want to drive their own vehicle. Fields added that Ford is at a point where they see the removal of a steering wheel and pedals for gas and brakes are possible and that they will seek to follow this route as a driverless alternative. In the near future, Fields suggested by early 2021, these fully driverless autonomous cars could be on the roads of the United States. So what could this mean for the blind and visually impaired? At present, for good reasons of public safety, we are not allowed to drive on public roads. But will the autonomous car deliver mobility and freedom for us as visually impaired consumers. Currently we are tied to a friend or relative driving us to our destination. Or we use buses and disabled transit systems. Alternatively we can use taxis and ride share services such as Uber. But for those of us who use guide dogs, taxis and ride sharing services have become a problem as drivers refuse, illegally, to take us with our dogs to our destinations. If legislators agree to create laws that allow the computer within the vehicle to become a legal responsible entity, allowed to drive people who do not have a driving license then this will open the gates for us to use these vehicles. Initially these vehicles will be produced for fleet services and hire companies. They could even become part of a ride share fleet, Uber style, but with no driver to refuse to take a guide dog. Uber Drivers to go the Way of the Pony Express Rider? So in this scenario maybe the Uber driver is like the famed Pony Express rider, a good opportunity for the short term but doomed when technology comes along, here in the form of a self driving car rather than the overland telegraph and railroads. The car could be hired rather than owned by an individual, it would arrive at your door at an appointed time, pick you up the drop you off at your destination, or possibly if you are on a very long journey take you to a staging post where you might change vehicles or it is refuelled. I can imagine taking one of these cars up to a BART station in the Bay area, getting out to catch a train then the car goes on its merry way as I might go into work through the day. Then I could catch a train to a departure station and have another car drive me home. On the way to and from work I could sleep, work on a computer, make telephone calls or eat a meal, as carefully as I can, the roads will still have bumps and pot holes. Maybe a car would be cleaned and valetted after every use or at least once a day. 2021 could be just a date that slips by, but I am pretty sure fully autonomous cars will be with us, sometime. We will use them daily and I am sure they will change the lives of many blind, visually impaired and non drivers for the better. To read the full press release follow this link: .Ford Motor Company Announcement of moving towards fully autonomous vehicles.